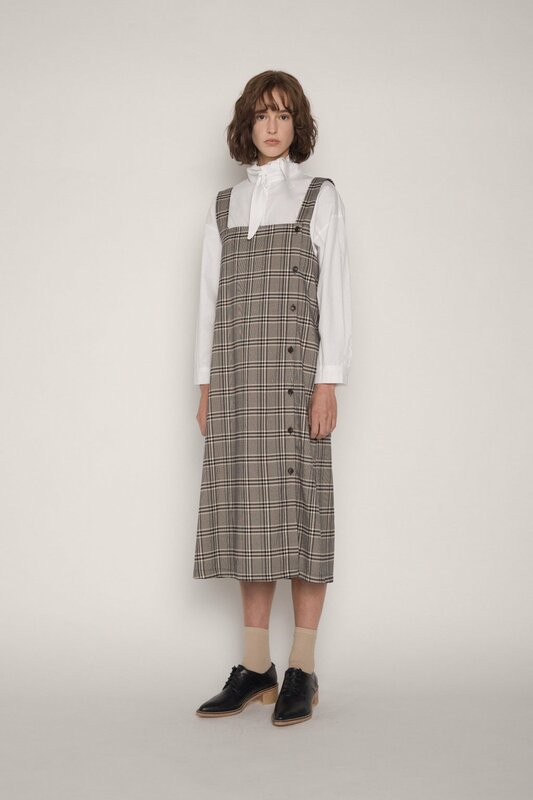 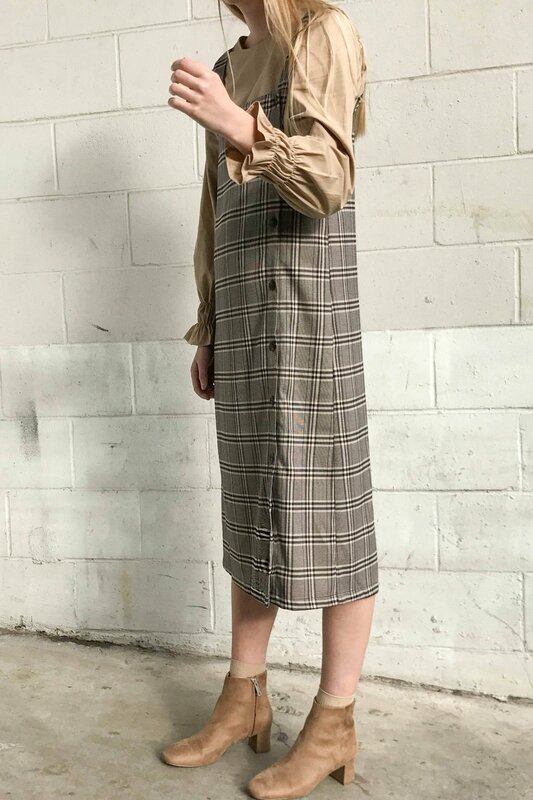 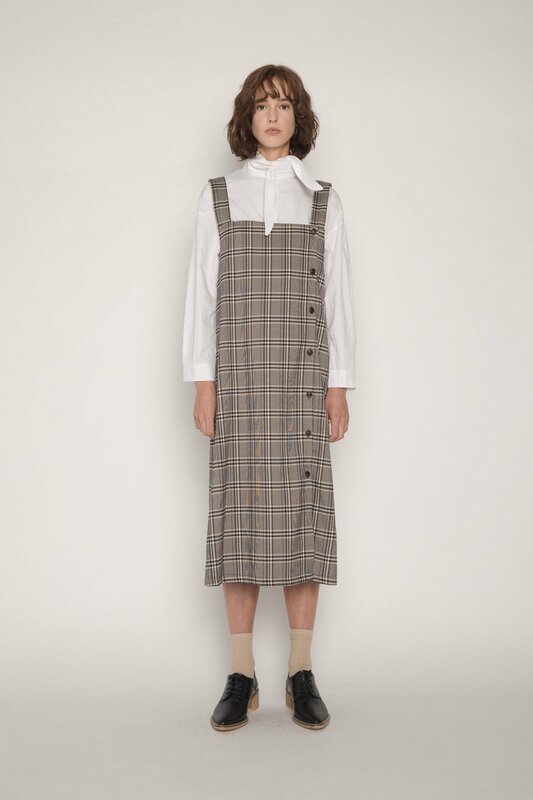 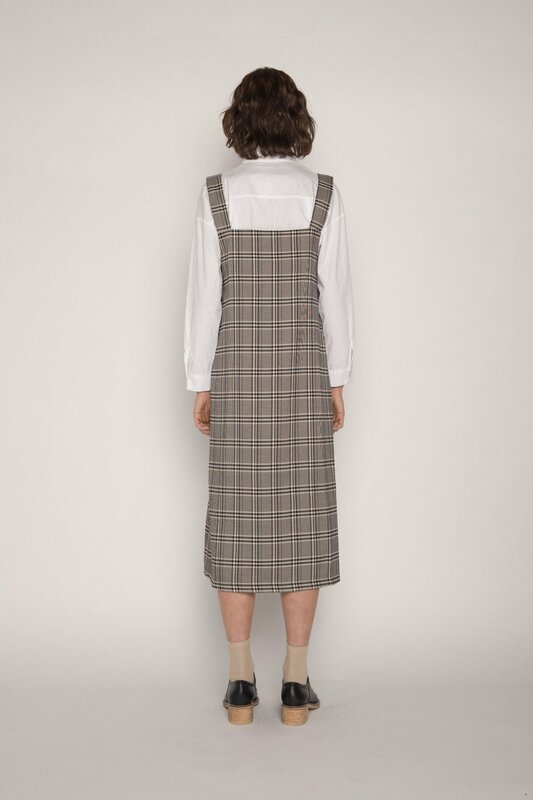 This midi-dress features a pretty square neckline, wide straps, and a button-up closure placed on the side for a unique, asymmetrical look. 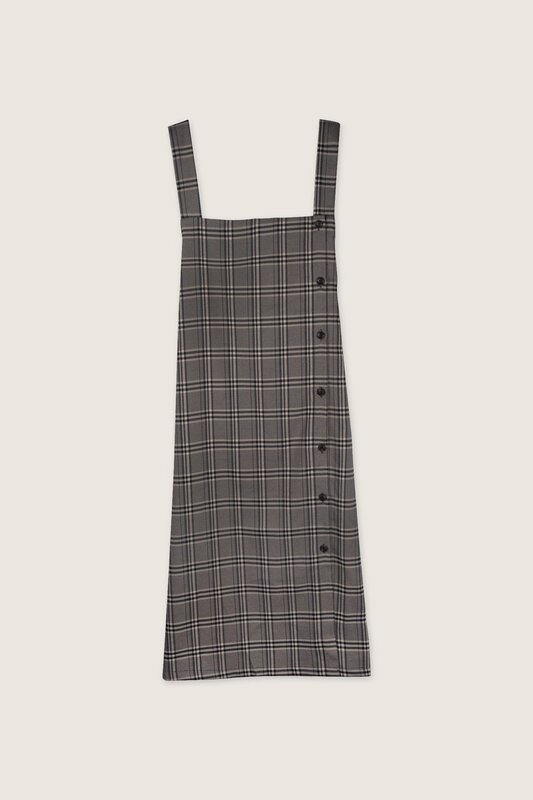 The muted navy houndstooth plaid adds a playful touch to this classic piece. 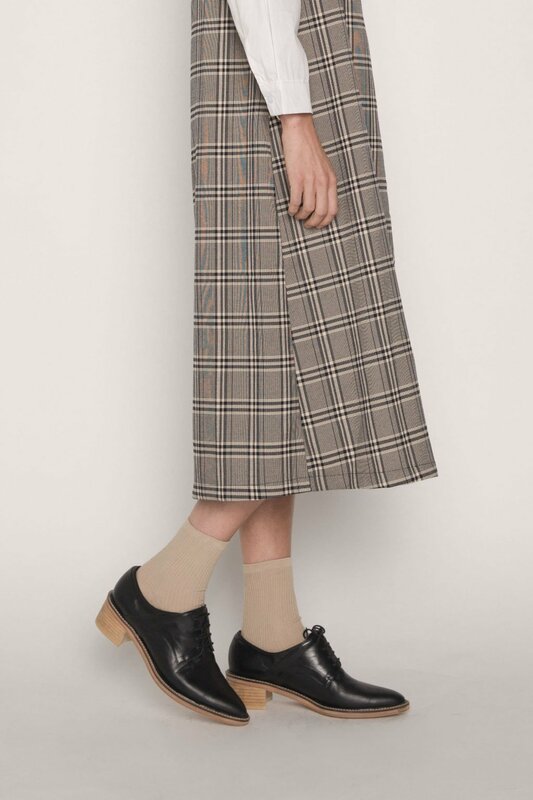 Layer over a turtleneck and pair with a denim jacket and ankle boots for a sophisticated yet casual everyday look.